Last weekend we held not only a course but a celebration marking Philip Smith’s 50th year in aikido. Attendees came from all over the country to offer their take on this still relatively modern martial art. We had a special visit from two members of Aikido Shinju-kai Singapore who flew all the way from their dojo in Shanghai to take part in the celebration. 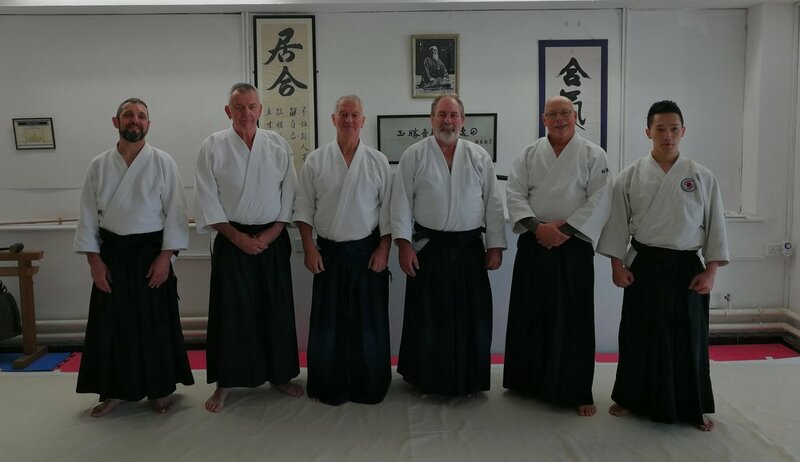 Events like this are an important aspect to aikido, they not only commemorate important events but also bring in people from outside our own organisations and demonstrate the strong bonds that can be built and maintained despite our respective differences. A special thanks go out to Martin Penrose and Neil Mould who were kind enough to fill in openings at the last minute. We hope everyone who attended enjoyed the course and was able to take something away with them to incorporate into their own particular style. Thanks once again to all the instructors who travelled and gave their time to support this particular event, to all the people from RSK who helped organise and run it and finally to Aloyseus Lee and Ying Zhong who travelled a considerable distance at their own expense to take part and celebrate this occasion.